Two of Dr. Vogel?s breast augmentation patients discuss their experiences. Jean enhanced her appearance through breast augmentation and lift. 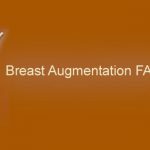 There are several choices for patients considering breast augmentation. Dr. Vogel discusses his approach to breast augmentation and breast lifts.